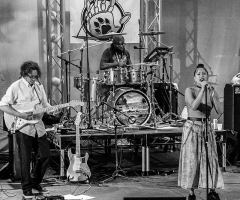 The crisp California spring evening of March 15th started off with the melodic voice of Mystic Marley, granddaughter of the great Bob Marley and daughter of headliner Stephen Marley. 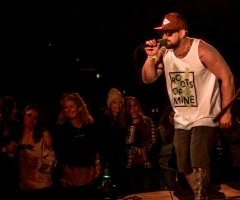 The intimate outdoor setting of Garden Amp was the perfect venue for continued support of her 2018 single "Beatdown". Mystic showed up in true Marley form: her dance vibes and strong voice got the crowd moving. 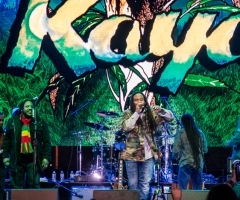 Stephen Marley took to the stage in front of the large sold out crowd. 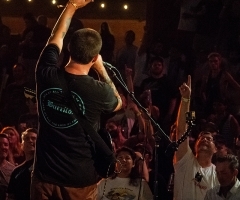 His strong set varied from his own music, like "Mind Control", to some of his father’s greatest hits, like "Small Axe" and "Three Little Birds" that had the crowd singing along. Later, Mystic joined her father Stephen onstage to perform a few of her grandfather’s songs, as well. The two continue to tour together, igniting stages across the country. You will not want to miss them! Upcoming shows for "stephen marley"